Summerhill Cottage is a beautiful two bedroom semi-detached cottage situated in the village of Eaglesfield. Double glazing and oil fired central heating throughout. 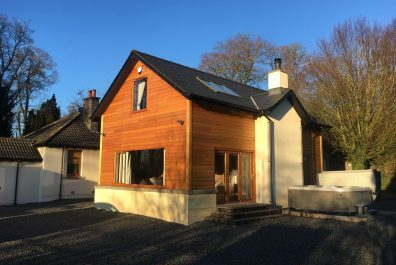 The property is located with easy reach of the main M74 route with good road links both north and south. There are local primary and secondary schools in Eaglesfield and Lockerbie. There is a school bus running to local schools. Entrance hall, living room, kitchen/dining room, two bedrooms, shower room, conservatory, cloakroom with W.C. and gardens.